CHMOD and CHOWN for WordPress are important to set properly during the setup. Improper setup usually throws errors for some Plugins and asks to chmod to 777. Details of chmod for an average user is written before, chown was shown in the guides to setup Server for WordPress. We will Explain both in this small explanatory guide. Please understand the fact – if you are running one single server, improper chown to root user can prove to be helpful to the hackers, as the root user can change or setup user file related rights/permission. You must create an user and then chown the files of FTP – that is what we usually do. No good UNIX user will ever direct you to chmod all FTP files to 777. But, these kind of ‘quick’ methods are quite common to see as directions in various supportive forums. If the chown part is done properly, the normally set chmod of WordPress (755) will nicely work. Never recursively chmod the whole wp-content, for example to 777.
is becoming writable to that plugin. Again, CHMOD and CHOWN for WordPress are important because the PHP files can directly execute commands on the database server. You must not do anything without understanding which can open the door to the hackers. This Article Has Been Shared 9434 Times! 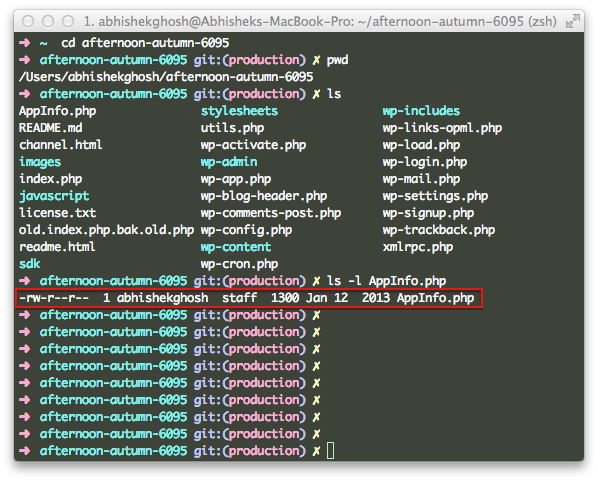 Cite this article as: Abhishek Ghosh, "CHMOD and CHOWN for WordPress," in The Customize Windows, November 21, 2013, April 24, 2019, https://thecustomizewindows.com/2013/11/chmod-and-chown-for-wordpress/.